Our Disconnect: Who could imagine the US making a tremendous pivot into Africa’s continent, expanding its economic reach? Often when we conceptualize any US moves into the African region, poverty, AIDS, hunger, refugees, genocide and political turmoil, and recently Ebola, or Ancestor.com, an online database where numbers of people turn to DNA as a tool to trace their roots. Other times were during history classes on the migration during the transatlantic slave period from the mid 1600 to late 1800 between the US and the Caribbean to build their wealth. When the US elected Barack Obama, the first African American president, in November 2008, many thought this historic event would have created a new model with unlimited collaboration both home and abroad, and prescriptions for equality, social and economic justice, and even racial harmony. Today, the world has gone Bokish. Since 2009, the US economy has rebounded: US GDP Growth Rate. However, the nation is more polarized by race, religion belief, ideology, and value woven into social and economic inequality as studies have shown. We have come a long way, but we are still far apart. This has also made it difficult for the president’s policies. Unemployment rate among blacks in the US remains higher than whites, income disparity, and even incarceration rates. Furthermore, there are only limited bipartisan agreements in Congress on policies on reducing turmoil and economic stagnation. “Election really does matter,” as many political analysts have argued. 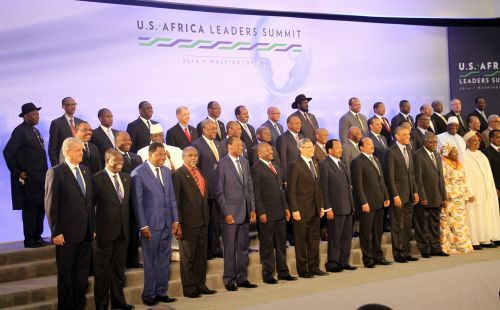 The Economic Arrival: Between August 3-6, 2014, President Obama gathered over 45 African leaders and other heads of state to Washington, DC, for what was called an unprecedented US-Africa Summit. Many leaders had only seen the White House on television or from print media. Finally, they walked the well-kept lawn that was built by their own ancestors. In addition, the summit was not a payback gathering for slavery or a policy push for reparation. They did not bring animal skins, lions, tigers, and other exotic tribal customs as some would believe when we talk about Africa. It was simply because business leaders from the US realized that “black is the new green”. The Sub-Saharan African countries that were once occupied by wild animals, nomads, peasants, slaves, tribal groups in jungles and on hard clay dirt roads have become an economic power, not only in Africa, but an economic source for others in the region, and the US community has taken notice. In a recent Harvard Business review by Jonathan Berman, Africa’s economy is growing faster than the economies of all other continents, and half of the countries are seeing an annual GDP growth of more than 6%. The work force by 2035 will reach about 135 million, and bigger than China, and about 25% of the world workforce by 2050. Today more than $40 billion has been invested. This region will hold about 60% of the world’s farmland, and it could become an agricultural powerhouse. In addition, Africa’s middle class in the next decade will be higher than India’s, including the amount of people who will be living in cities by 2030. The Obama administration also announced a $14 billion in commitment from US businesses to invest in Africa during the August 2014 summit. It was noted that the West has barely scratched the economic powerhouse that is building there. The Administration also reported that GE, by 2018, will have $200 million in investments across Africa. Marriott also has made a $66 million commitment and IBM is to give technology services in the region. Strategically, some US companies should be rebalancing their portfolios due to other region’s socio-economic turmoil. Today, many countries of Sub-Saharan Africa seem more stable while other regions seek rockets, war equipment, territories, committing genocide and ethnic cleansing, while this once troubled region is seeing a tremendous economic boom. This pivot is not because the president is black, or when black people gather we believe it is for a candlelight vigil from some violence. However, Africa’s plants have sprouted with green and tremendous power. President Obama’s poll numbers might have been low; however, strategically for the business community, for once, his Kenyan roots might be paying off despite a lukewarm relationship. On the other hand, given Africa’s history, I wonder if this new-found respect is another exploitation of cheap labor disguised with modernized expensive business models, and planned dumping through one-sided trades to come. Nevertheless, despite doubts, failure to tap in to this market could be far worse than the Ebola virus for companies who fail to be ready for piece of this economic medicine. Missed Opportunity: The US has to remove its borders, as Tom Freidman wrote in the “The World is Flat”, to stay competitive. Recently Li Yang reported that China-Africa trade will tick up by 50 percent by 2015, and will head up to US$1.7 trillion in 2030. Richard Cooper of Harvard University noted that the population of China would reach about of 1.4 billion people. Additionally, the Pacific region, including India and Japan, will also see such growth; and an estimated GDP over $2.75 trillion by the year 2025. Given its enormous potential growth, China and others in the region will have to find places to dump some their goods to support this projected growth. The Chinese are forging long-term alliances with decades-long contracts that will outlive all of us today. China is one-step ahead of the US in Africa and many scholars have noticed their inroads. The global crisis did not seem to dent China’s appetite for investing in Africa in early 2009, Paulin Houanye and Sibao Shen noted. They are capitalizing on the logistics issues that are still a major hurdle in the region, and using every opportunity to build roads and power supplies. 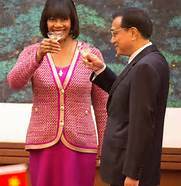 Fewer than 300 miles from the US coastline, China has also been on a modern colonial conquest in the Caribbean. The Caribbean Basin is the last and most complex of our ancestral components, with African, Europeans, Latin Americans, and Native Americans, Indians and Asians. Many studies have also shown that, over the next 40 years, this region will be part of over 80% of the world’s global growth. 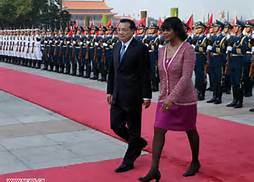 Countries such as Dominica, Grenada, St Lucia, and Jamaica, and others have received community-based stadiums, roads, schools and hospitals and other monetary contributions from China. China’s quest is both economic and political. The flood of cheap cash flooding the region has seen significant devaluation of several currencies. 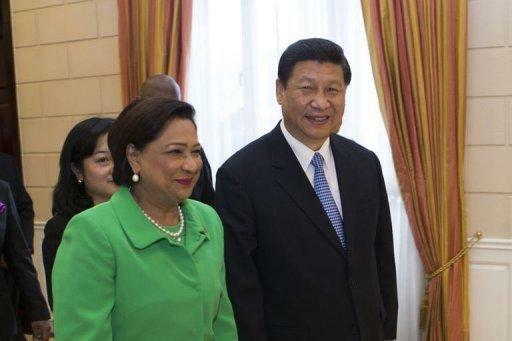 The ongoing economic struggles have forced some Caribbean leaders to lay out the red carpets like the white sand that glazes the beaches for an arranged marriage. However, we will have to see how this marriage evolves after the honeymoon period is over, when China’s real motive is revealed. Many other races in US support ancestral links. Even in controversial geo-political issues, despite never having visited, lived in or could survive in their parents’ homelands, they have undivided support. I thought about African American and Caribbean communities that are forever linked by the slave ships, but it seems we are forgotten in Africa’s new paradigm shift with an “ancestral gap.” I am also aware our transportation ride to the US shores was not first class. I am not implying that we all should pack our bags and leave. Most of us could not survive living in the region. There are also recent debates if African Americans should just be called blacks such as in Britain, Canada, and the Caribbean. In some parts of Africa it can be refreshing not be reminded of one’s skin color. Moreover, who would like to revisit a painful past that we are reminded of daily by polarization, intolerance, hate, isolation through economic deprivation in some of our communities? Our own gap is often simply a subconscious glimpse of what had been part of our history. 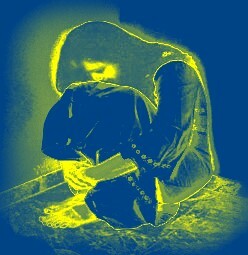 As a result, we stay detached because of the known, and the unknowns. Refocusing: This new African paradigm shift is not only derived from commerce, investment, share interests, trade. Equally importantly, our leaders have to recognize that geo-political turmoil is erupting in several other places. These issues cannot be solved with drones, but investing in the next generation. It is reported that half of the world’s youth population in the next two decades will be living on the African continent. This is a Mecca that cannot be ignored and especially for global safety. Many of today youths are holding other nations accountable for own prosperity. Today, we are seeing more strategic alliances, not only for the best talents to build the next energy system to reduce fossil fuels consumptions, or the next Microsoft, but in ideologies rooted in violence based on religious beliefs, exploitation, violence, race, color grouping, place and the fight for economic mobility. This stratification is not good for businesses because, to sustain growth, an economy needs everyone. The idea of calling one group an ethnic minority soon has to be eliminated, like the “N” word in public. Today it seems some too are pre-occupied with priorities that change instantaneously like Twitter posts and fail to recognize opportunities. Our leaders seem concerned about their polls numbers and not economic governance; others are worried if Jay-Z and Beyoncé are splitting up; or if reversing a 400-year-old colonial law that prohibits homosexuality in the Caribbean region is bad for humanity. Neither the US nor the Caribbean can wait until an Ebola virus hits, and then elevate the status to an epidemic because certain groups are affected while the economic cancer has killed for decades. Socio-economic needs cannot be tested on a few in disguise; it has to be collaborated in advance. I hope these beautiful highways and bridges being built will not be used by wild animals after the minerals and other products have been extracted from the soil. 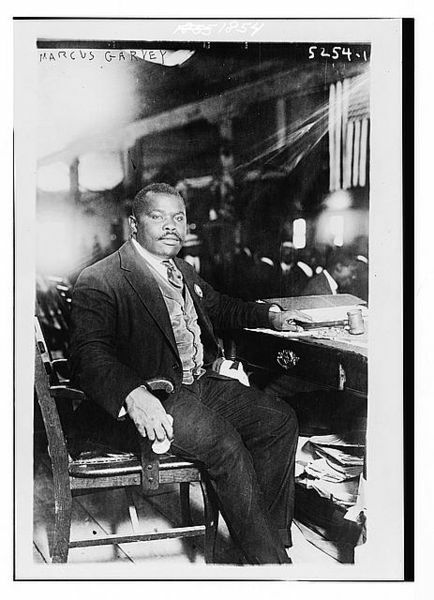 Marcus Garvey’s Pan-Africanism, decades later, seems to be on the horizon. He believed that unification of Africans would be vital for long-term economic prosperity. Had he lived today, despite his controversies, he could be an ambassador to the region.